Audio Detection is a feature that can be a very reliable way to capture a conversation or other important sounds that need to be recorded. It allows a security camera with a built-in microphone or audio input to trigger recording when sound is detected. You no longer have to rely on video-based motion detection to try and capture audio of an event and missing out on everything that was said. With audio detection you can even capture video/audio when persons are conversing outside the camera's field of view, but near enough to activate audio detection. You can finely adjust the sensitivity and threshold settings to decrease your storage needs. In this guide we show you how to setup and use audio detection with surveillance cameras purchased from CCTV Camera World. January 31, 2019 by Matthew Rossi, tagged audio recording, IP camera setup. March 3, 2018 by Don Stephens, tagged two way audio cameras, audio recording, IP camera setup. November 13, 2017 by Matthew Rossi, tagged two way audio cameras, audio recording. October 31, 2017 by Matthew Rossi, tagged two way audio cameras, audio recording, IP camera setup. Whether you have an IP, HDCVI, or Analog security camera system, CCTV Camera World offers security cameras with a built-in microphone, giving you the ability to stream or record HD quality footage with audio for each camera. Setting up your DVR or NVR to stream/record video with audio requires a few simple steps, explained in the text and video below. August 22, 2017 by Matthew Rossi, tagged audio recording. 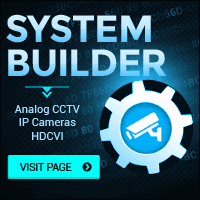 Audio recording and streaming capabilities are a standard part of almost all of the security camera DVRs that we sell. For the analog CCTV camera DVR and the HDCVI DVR it is necessary to enable audio recording through the user interface, whereas for IP cameras with built-in mic the NVR auto detects the presence of an audio stream. October 8, 2015 by Don Stephens, tagged audio recording.